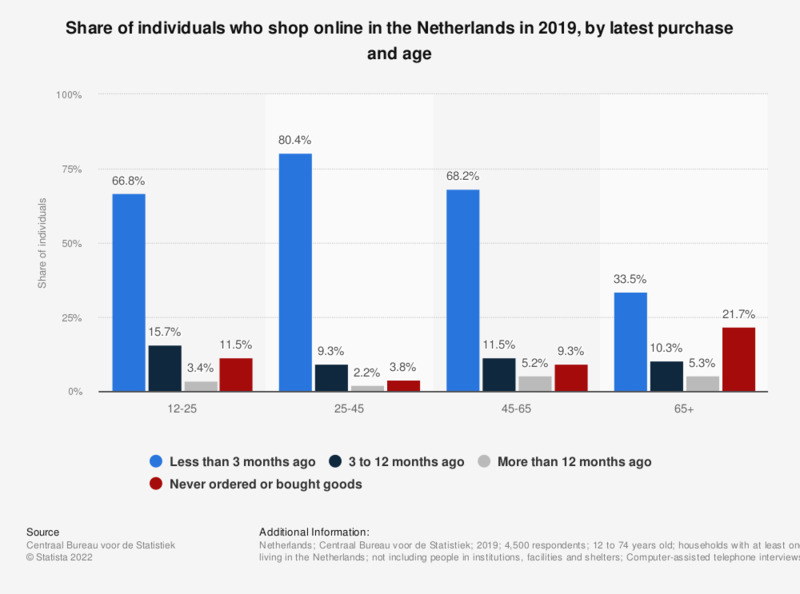 This statistic illustrates the share of individuals who shop online in the Netherlands in 2018, by latest purchase and age. As of 2018, 11.8 percent of Dutch individuals from 45 to 65 years old last bought goods or services online for private use three to 12 months ago. The survey question regarded: "When did you last buy or order goods or services via the internet for private use." The source explains: "Online purchases are goods that have been purchased via an internet browser or an app. Goods that were bought via SMS, MMS or e-mail are not included as online purchases." Why don't you buy products online?